Robert B. Lisek is an artist, mathematician and composer who focuses on systems and processes (computational, biological, social). He is involved in the number of projects focused on radical art strategies, hacktivism and tactical media. Lisek is a pioneer of art based on AI and bioinformatics. He also explores the relationship between bio-molecular technology, code and issues arising from network technologies by combining his DNA code with codes of viruses and recently by testing influence of radioactive materials on biological entities. 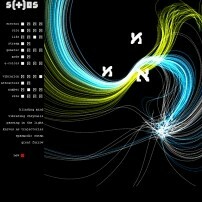 His work has been exhibited at ISEA, FILE, SIGGRAPH and more.